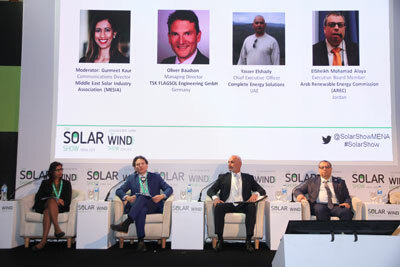 After a hugely successful launch in 2019, The Solar Show MENA, co-located with The Wind Show MENA, the region’s leading conference and exhibition for renewable energy, will return in 2020. Bigger, and better, than before. The outlook for renewable energy in MENA remains incredibly positive. By 2030, over 145 gigawatts of renewable energy is expected to have been implemented in the MENA region. In 2018 alone, the construction of solar projects in the region grew by over 50 per cent, and currently there are 12 GW of solar projects that are under construction (or awarded) in the MENA region. Based on current growth rates, solar energy in the MENA region will be worth $100bn in the next 10 years. Within six years, the sunny MENA region will have as much solar power as the US has today, and more than Germany. By 2030, it will be approaching China’s current level. Investment in renewable energy projects within the MENA region continues to grow, with thanks to the clean energy targets of each country and the dramatic fall in the cost of solar energy. As the appetite for solar energy increases, this is where The Solar Show MENA comes in. Held in Cairo, Egypt, and bringing together 3000 attendees, including policymakers, utilities, financers, investors, local industry heavyweights and international technology experts, there is no better place to connect with the MENA renewable industry. 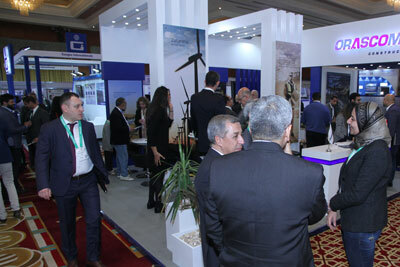 The exhibition is a showcase of the world’s ‘best-in-class’ solution providers in the renewable space. The Solar Show is co-located with The Wind Show MENA and The Electric Vehicles Show MENA, guaranteeing the whole renewable industry has chance to interact over two days.